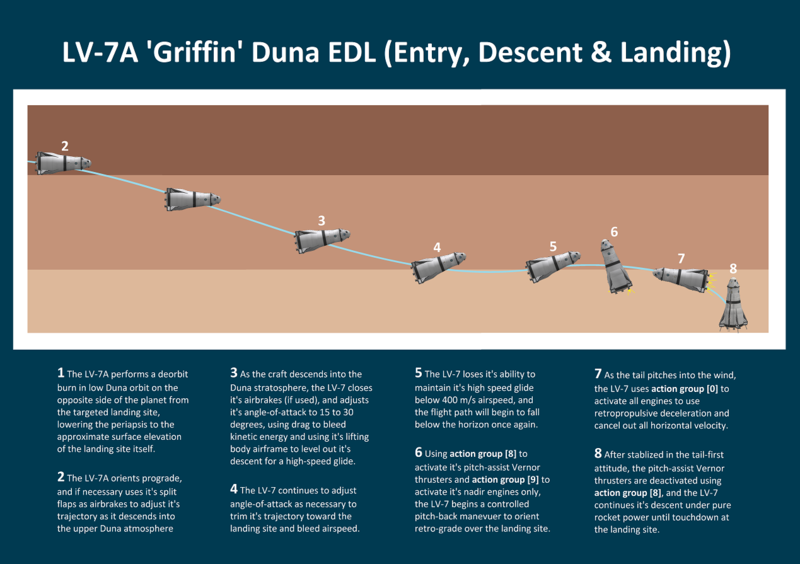 NOTE: This craft is not recommended for inexperienced players or players unfamiliar with complex Duna entry techniques. 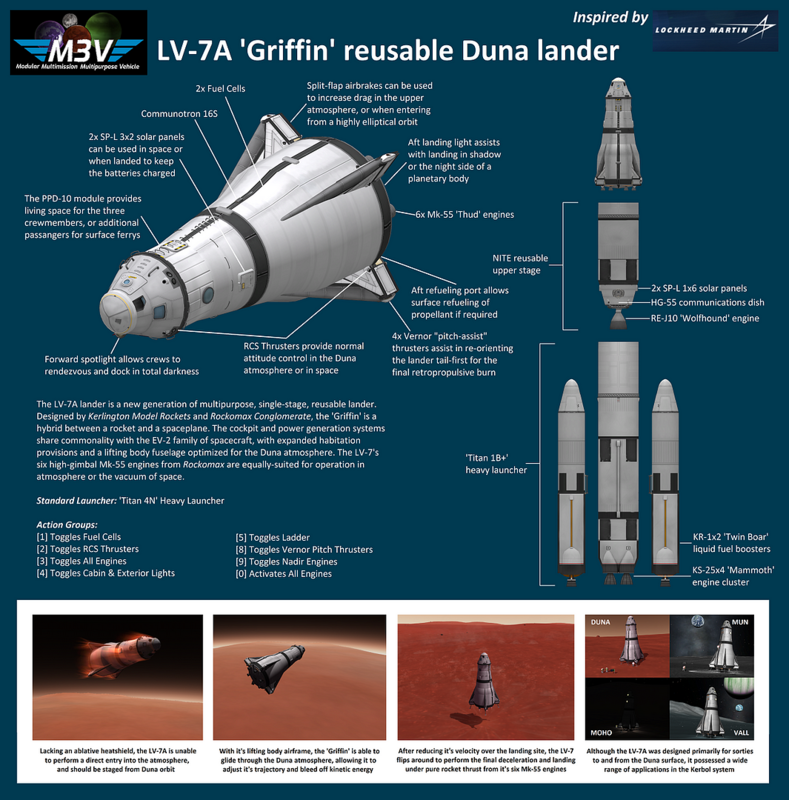 The LV-7A lander is a new generation of multipurpose, single-stage, reusable lander. Designed by Kerlington Model Rockets and Rockomax Conglomerate, the ‘Griffin’ is a hybrid between a rocket and a spaceplane. The cockpit and power generation systems share commonality with the EV-2 family of spacecraft, with expanded habitation provisions and a lifting body fuselage optimized for the Duna atmosphere. The LV-7’s six high-gimbal Mk-55 engines from Rockomax are equally-suited for operation in atmosphere or the vacuum of space.